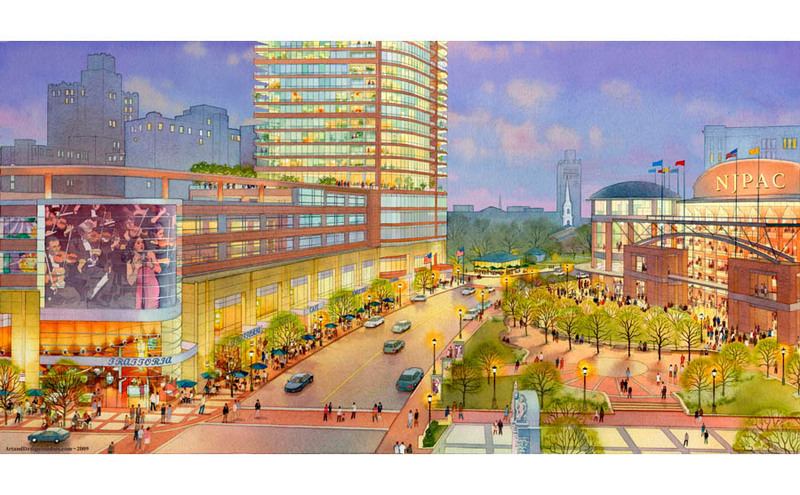 Rendering of One Center Square NJPAC development. Newark, New Jersey. Architectural watercolor technique.